Our 3PL (Third Party Logistics) experts realize your need to outsource some of the processes that might be too costly for you. In accordance with that, Kokusai Express Japan provides you with the most affordable solutions for your SCM management. There are more and more external commission requests in the logistics sector for the purpose of injecting management resources into core competence sectors such as sales, planning, production, and sales as a part of management strategy. Since its foundation, Kokusai Express has considered the 3PL (Third Party Logistics) businesses as its business strategy, providing integrated services in the whole logistics sector ranging from customer factors to final delivery. Unlike the existing logistics that separately subcontracts transport or storage, 3PL service enables designing, managing and operating logistics affairs that support customers’ SCM on a comprehensive basis. Kokusai Express provides an advanced one step logistics solution to customers ranging from corporate logistics diagnosis to consulting based on its accumulated logistics know-how, presenting the optimal logistics solution in order to enhance corporate competitiveness. Kokusai Express believes that its 3PL service contributes to improving productivity on a fast and efficient basis. Kokusai Express supports customers to realize low-cost but high- efficiency logistics as their win-win business partner. 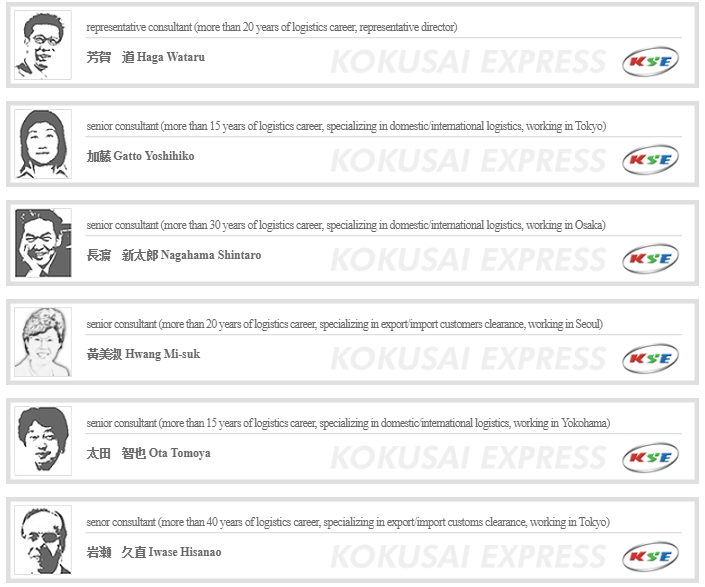 Kokusai Express provides its 3PL service, presenting and consulting the optimal logistics system to secure customers’ corporate competitiveness by maximizing customer value in a globalization era via its high-quality service, logistics consultants who are familiar with logistics affairs, and extensive network and system. Kokusai Express Japan will provide the high-quality 3PL service through high-quality on-site affair handling ability. Leading the global network that is one of the greatest in this field. And advanced SCM support system that has solved many more issues than the other companies. Kokusai Express Japan is going to present the way to reduce cost by optimizing logistics depending on the client’s situation. We are responsible for all stages of logistics. From cargo collection, transport, storage, processing to delivery. We will recommend a specific and practical work design by professionals who are familiar with logistics work based on the precise and logical suggestions learned from data analysis for each client. Kokusai Express will ensure cost-effectiveness through a logistics service index and digitalized quality management. Our logistics IT system organically connect state-of-the-art logistics information system including OMS (Order Management System), FIS (Forwarding Information Systems), TMS (Transportation Management System), WMS (Warehouse Management System) and CMS (Customs Management System). In order to manage the whole processes from raw material purchase by cargo owner to distribution and recovery. Helping to realize the logistics service across the SMS. We suggest innovative efficiency via consulting. For this purpose, we use our creative network system, achieving the optimization of logistics costs. Kokusai Express Japan provides you with secure logistics infrastructure. Making sure you are provided with the necessary network. We help you calculate the exact cost of using our logistics services. Our experts work with you, making sure to satisfy all your needs and demands. After we get the picture what are your requirements, we are establishing the system to help us conduct it. Promptness and efficiency are the major characteristics of the logistics system we establish. All of our personnel work hard to keep the system functioning perfectly for each and every client of Kokusai Express Japan.